Marmaris National Park is almost 30,000 hectares large. On Turkey’s southern coast it has wonderful beaches and scenery, but what really sets it apart is the dense vegetation. The area is protected for its flora, fauna and natural beauty – so it’s a good place to walk. Much of the coastline is characterised by its rugged footpaths and in the national park there are thick forests of Turkish pine and sweetgum trees, oak and cypress. Wooden walkways through the countryside allow you to explore easily and there are pretty beaches and coves if you fancy a break. As you wander, keep your eyes peeled for some of the animals that live here. There are likely to be wild goats, trotting around the rocky hills, and smaller mammals like squirrels and pine martens, as well as a lot of birds of prey circling overhead. Part of the Marmaris National Park stretches out onto a little peninsula called Paradise Island, that is located in the bay of Marmaris. It is in fact not quite an island as it joins Turkey’s mainland at the little resort of Adaköy. Even so, from Marmaris you can see it looming upwards across the water. You can reach the island by driving around the bay or even by catching a minibus that departs from Marmaris city centre. The short journey will only take you about half an hour to drive and then you can explore the whole island by foot. A pretty forest track divides in two and you can wander the countryside at your leisure. The ‘island’ is full of vegetation; as you wind your way through the trees along the sandy footpaths, you’ll come across wooden viewing platforms and will have marvellous panoramas of the sea that surrounds in almost every direction. Paradise Island is known for the interesting Nimara Cave, an attraction that can be found (if you take the left-hand pathway) part way round your walk at the highest point of the island. You’ll come to an opening in the trees with a rocky pathway leading up into the treeline. Follow the walkway and it opens out to the large hollow of the impressive cave system. The area has an otherworldly feel to it with stairs carved into the rock to help you descend. 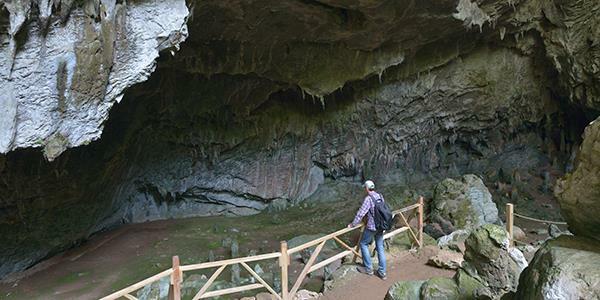 Nimara Cave became famous after its discovery because it showed signs of human activity dating back 12000 years. Excavations and research suggested it was likely to have been a worship place for the local residents of the Goddess Leto. If you look down into the cave floor you’ll see the remains of what was once a semicircle of stone alters surrounding one main central standing stone. It was here that offerings would have been left. In fact, the most recent excavations have proven that it was in this area and around Marmaris that the earliest human settlements in the whole of the Mugla province were first formed. 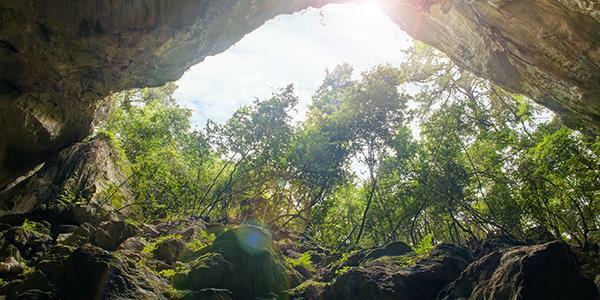 Later the Nimara Cave was used during Roman times, and first became a protected area in 1999. It is still a popular visitor attraction. Find out how you can stay in the area by entering your details at the bottom of the page for a free brochure.